White House Deputy Press Secretary Sarah Huckabee Sanders last week. Former FBI Director James Comey opened his Senate testimony by saying the administration had spread ‘‘lies, plain and simple’’ and ‘‘defamed’’ him and the agency. Trump claimed separately in a television interview that the FBI was ‘‘in turmoil’’ and hadn’t recovered. 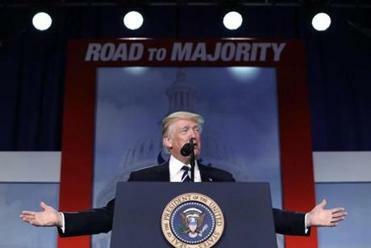 President Trump spoke Thursday at the Faith and Freedom Coalition’s annual conference at the same time as the former FBI director was testifying. Trump tweeted last month that fired Comey better hope there are no ‘‘tapes’’ of their conversations. Comey, testifying on Capitol Hill Thursday, said he indeed hoped tapes existed and called on the president to release them if they do. The White House has refused to answer what the president was referring to in his tweet. 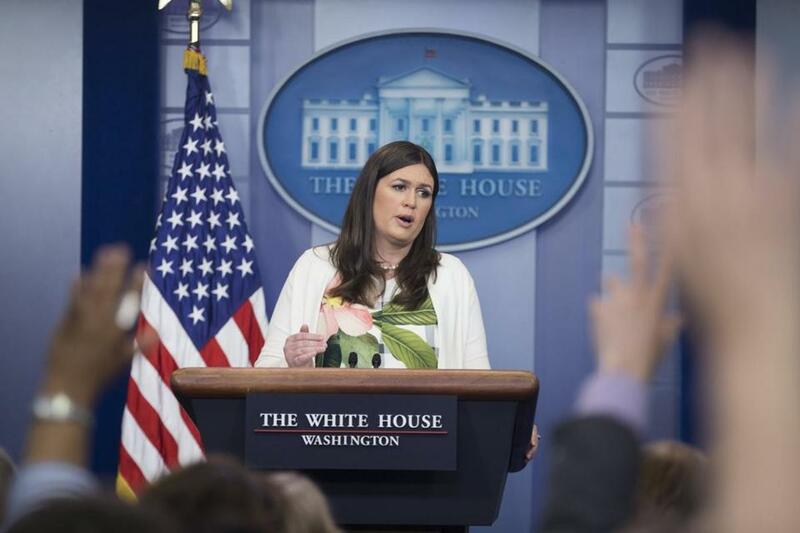 Sanders said Thursday that she had ‘‘no idea’’ about Oval Office taping. Sanders also said Trump has confidence in Attorney General Jeff Sessions — after days of refusing to answer the questions. She told reporters the president ‘‘absolutely’’ has confidence in Sessions and the rest of his Cabinet. Press secretary Sean Spicer had said earlier this week that he wasn’t sure about the president’s opinion on Sessions because he hadn’t discussed the topic with him. Trump has been angry with Sessions ever since he recused himself from the investigation into Russia’s interference in the 2016 election and possible connections with the Trump campaign.